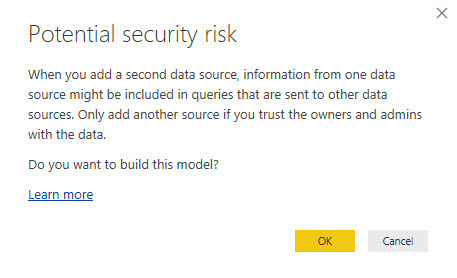 Microsoft Power BI team has released a new update called “Composite Models” which is in preview now. This post talks about the composite models. If there is a requirement to use SQL server and Excel for Power BI report, it was possible only with import mode. It means both the data sources should be used as an import option then we can combine the sources and build the report. What will happen if I want to use SQL Server as a direct query on the above scenario? We couldn’t combine those two data sources together, but it is possible with this composite model. As this is a preview feature, you need to enable this feature on “Preview Features” section. 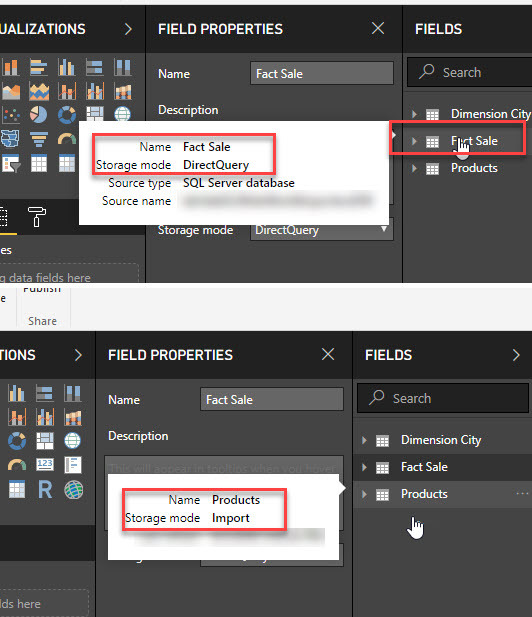 Once enabled then you can add SQL Server Direct Query and Excel together within Power BI desktop and start building the reports. 1. When you decide to go with this feature, you need to ensure to accept the below message. The information of the one data source might have sent to other data source while fetching the data from different sources. Still, there are few limitations with this composite model. This composite model consists of below features which we will discuss in our next post.